I hope you had a fun Halloween! 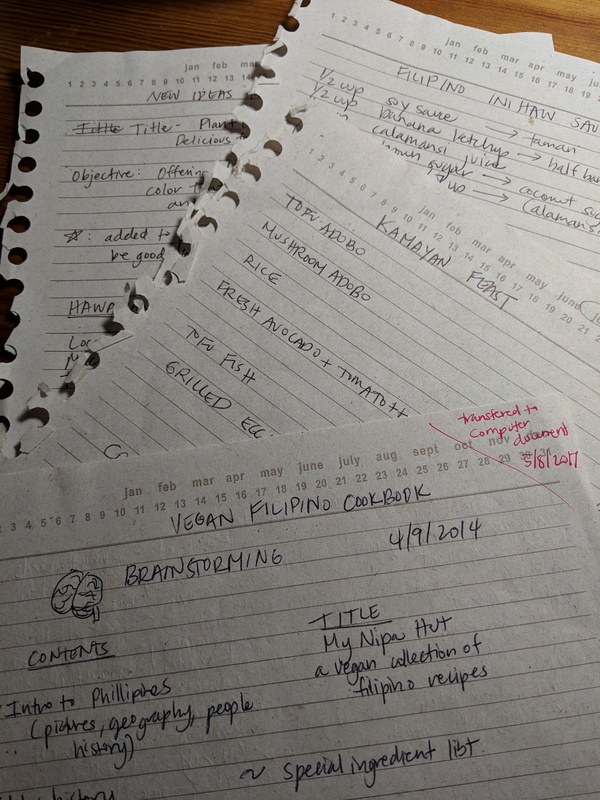 Here’s a recap of events that Chef Veggie was a part of Wednesday and Thursday! I was lucky enough to find a babysitter so that I could attend the Austin Food Blogger Alliance Happy Hour at RIO on 6th and Rio Grande. The foodie members and guests enjoyed time on RIO’s rooftop with libations and appetizers. We were offered two kinds of sliders, tuna tartare, and beef kabobs. At that time, I was glad I made some sambar and rice at home for my daughter’s dinner. Then came a crostini with honmeji mushrooms. Thanks RIO for having 1 vegetarian appetizer! There was a costume contest for those who came dressed up. With the threat of rain, I think those that did were very brave. I came as Marceline from Adventure Time. The winner was a cute fox or actually her costume was “What did the fox say?” Chachachachachacha-chow! Allie from Fairytale Meals sponsored the prize. 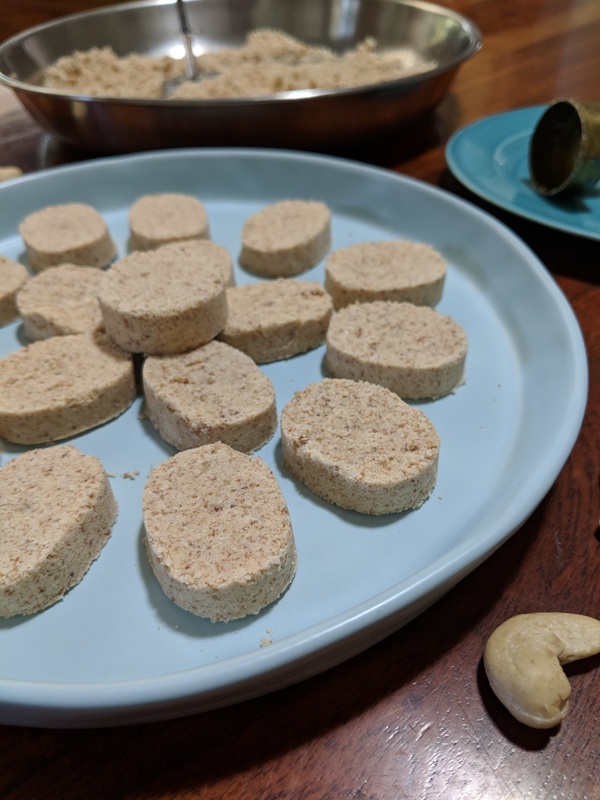 Fairytale Meals is an awesome concept for busy families who don’t have time to prep or meal plan but still want home cooked meals. Their menu changes weekly to account for what is in season and they can accommodate vegetarians and those who choose to eat gluten free. Overall the evening was interesting, especially for someone who doesn’t get out much and whose hubby was out of town. After the night out and having no one recognize my costume, I was actually looking forward to Halloween day and trick-or-treating with my daughter and friends. If you have watched Adventure Time (and if you haven’t but would like some cute and harmless fun I recommend it), you know there’s Finn, the human boy, his best pal Jake (a stretchy yellow dog) and a cast of fantastical characters. Princess Bubblegum is what you expect from a princess being pink and sweet, but she’s also very good at Chemistry and Physics. A purple globular valley girl named Lumpy Space Princess finds herself in predicaments due to her attitude. An old guy with a long pointy nose called the Ice King, is a tragic character like Golum from LOTR and is a bit nuts from an accessory, not a ring but a crown. A rainbow unicorn speaks Korean. Anyway, you get the picture, it’s a cartoon with such random goodness! The first time I watched it was at the old Dog Almighty a couple years ago as I ate a vegetarian corn dog. So I was dressed as Marceline, a vampire teenager with long raven locks, who rocks out on an axe bass guitar. She had a demon father but somehow became a vampire too. She likes to play little tricks on people but she is not malicious. From time to time she likes to sing sad little songs to express her feelings. Here’s a recipe for Baked Fries that I like. When using better ingredients and a lower fat cooking method, you can keep a more vampirish figure! It’s great to be able to buy organic potatoes as they are one of veggies on the Dirty Dozen List because conventional potatoes have more pesticide and fungicide residues according to Environmental Working Group. What makes this recipe different than most baked fries? The potatoes are soaked ahead of time in water and vinegar to help with final crispiness and they are baked on cookie racks to prevent having to flip them. The fries are seasoned before cooking but not salted as that would draw out moisture. What makes these special for Halloween is the addition of Ghost Pepper Salt! 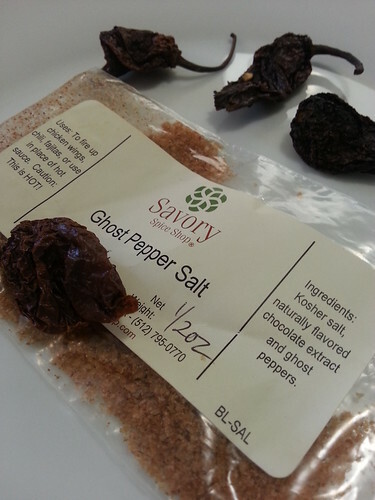 You can find Ghost Pepper Salt at Savory Spice Shop in Barton Creek Mall or the Arboretum. I made this plate in the summer at Cafe Monet at Westgate. 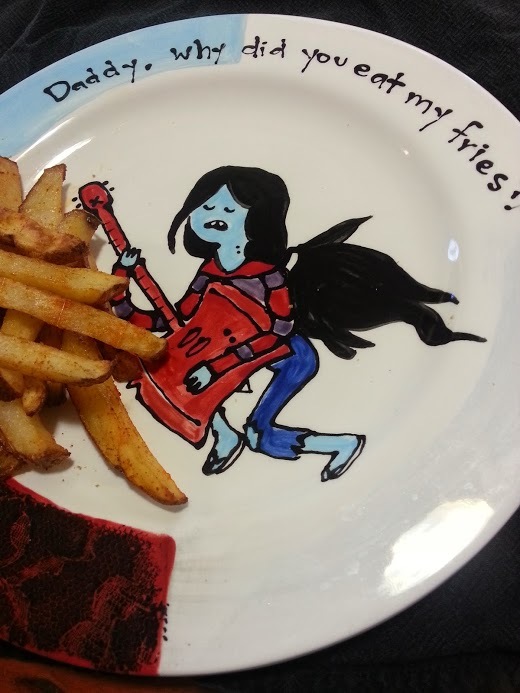 It is our go to fries plate now! Wash potatoes well and remove any “eyes”. Put in a 9X13 Pyrex or large bowl and submerge in water with vinegar for 1 hour. Remove potatoes, drain in colander, then dry off moisture with tea or paper towels. Put in a large bowl, sprinkle garlic powder and paprika, and mix to distribute. Take a large roasting sheet (I have this All Clad pan I love), place parchment paper, and then 2 cookie racks on top. Place potatoes perpendicular to rack wires so they don’t fall in. Bake for 45 minutes or until they reach your desired crispness. You don’t need to flip then as the hot air circulates all around them. Add salt to individual servings and the smallest pinch of ghost pepper salt. My particular Marceline outfit was inspired by the episode “What Was Missing”. It’s the first time I’ve worn high waisted jeans since the 80’s!